The curious aspect is how this is accomplished, because the main impression of Grenadille d’Afrique is a sleek perfume that smells less of a “primal African landscape” than of the chic ateliers of Soho. The dry woods, which give Grenadille d’Afrique its distinctive character, are not of the exotic variety. Presented in a polished frame of bitter citrus and pepper, they are almost familiar. 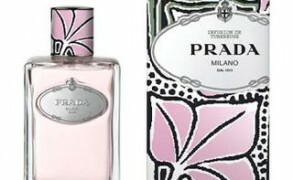 At first, the perfume feels bright and bracing, but within the next half an hour it softens. Instead of herbes de provence and jolts of pink pepper, I’m suddenly wrapped in leathery violets and smoky vanilla. For me, it’s a nostalgic effect, reminiscent of old Carons or Guerlains, of days when I first started making my acquaintance with vintages. Despite the perfume’s sharply tailored and trendy look, Grenadille d’Afrique has a mellow, romantic side. It’s just a hint, so perhaps die-hard retro glamour lovers won’t be satisfied, but it charms me. Alberto Morillas, its author, is known for his refined accords. Here too, he strings notes into complex arpeggios that sound differently to me every time I wear Grenadille d’Afrique. Some days I notice more sun-bleached woods; on others, it’s vetiver and vanilla that take center stage. The rich notes notwithstanding, the perfume remains transparent and airy. Like all Aedes fragrances, Grenadille d’Afrique is suited to both men and women. In presence, it’s between a cologne and a chypre, a light, skin-hugging scent. (In character, if not in exact scent, it reminds me of Hermès Cuir d’Ange and Comme des Garçons Quarzazate.) That being said, its lasting power and sillage are good–enough to keep one company but not to bother one’s companions. 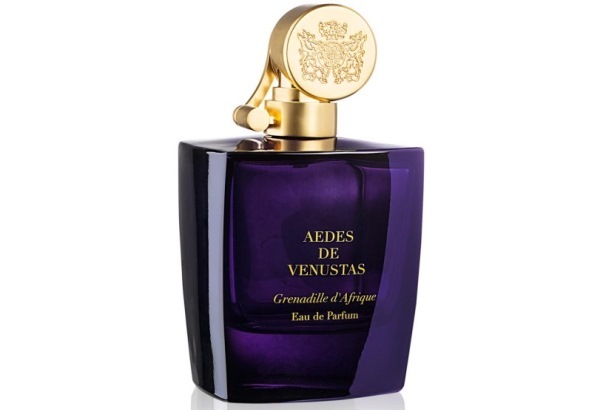 Aedes de Venustas Grenadille d’Afrique Eau de Parfum includes notes of lavender, bergamot, juniper, violet, vetiver, labdanum, vanilla and musk. 100 ml/$245. Sample: via Aedes de Venustas. Tijana: Wow, this sounds right up my alley… violets, vanilla, musk, lavender, labdanum combo… Based on the notes it should be my heaven as there is nothing (at least on paper) I don’t like! Will have to try next time I am in New York. Victoria: Yes, that’s what I like too. Light but lingering. maja: Hi Victoria! I need to try this partly because I absolutely trust your tastes and partly because Aedes has a really good line. I recently bought a big decant of Oeillet Bengale being on a carnation kick. So wonderful and my friend who cultivates carnations was impressed how much it smelled like the real thing. Just yesterday I wore my sample of Palissandre d’Or and kept thinking what it reminded me of so strongly and then I realized – Black Cashmere. The same nutmegy opening and dry incensey woods although BC is much more austere and cold. Iris Nazarena on the other hand has a bit too much incense for my taste but I did finish my sample gladly… I should catch up on the rest of the line. Victoria: This one has a dose of woody-peppery notes, but it’s not as assertive as some of their other perfumes. So, this makes it easier to wear.